O.K. I have a simple question. I read somewhere that when Mehmet the conqueror took Constantinople, he called himself Caesar of all of the Romans. This very same source said that since then, the Ottomans laid claim to every bit of land that was once part of the Roman Empire. Is this true? And did the Ottomans even consider rebuilding the Roman empire in their image? That would be an utopia, even for them. The ottomans had to face too many a big number of powerful nations like France, England or Spain. Yes, Mehmet II Conqueror planned an invasion of Italy but he died, the invasion left unfinished. Otranto in Italy was under Ottoman occupation. Conquering Italy is one thing. I'm talking about remaking the entire Roman Empire. what you're all forgetting is that the Ottoman image of the Roman empire was in fact the byzantine empire at the time the Turks arrived in Anatolia. The Byzantines always called themselves Romans. And their emperor was the Caesar of Romans. Mehmed II certainly laid claim to this title by right of conquest. This was added to the long list of Ottoman emperor's titles. It means more like the ruler of Greeks or the land of the Byzantines. But also most historians think that Mehmed II wanted to become the only emperor, the way the Roman emperors were. It is said that he had considered converting to Christianity in return for official acknowledgement as the only emperor from the Vatican. He certainly planned an invasion into Italy, and started it. Later, during Suleyman's time Austria acknowledged that the Ottoman Emperor was the emperor of the Romans (with Vienna threatened, they didn't have much choice). I also think it impossible (for the Ottomans or anyone else) to revive the Roman Empire at that time. It's true that one of Mehmed II's titles was Kayzer-i Rûm. Mehmet II certainly did crown himself Emperor of the Romans, and he did attempt an invasion of Italy (he captured Otranto for a very short amount of time). But by no means was it accepted by the pope , really. The phrase "Byzantine Empire" was coined and popularized by French scholars such as Montesquieu, an influential figure of eighteenth century intellectual life.. He was the same author whose seminal volume The Spirit Of The Laws did much to inspire the Founding Fathers of the United States in their writing of the American Constitution. Like other thinkers of his time, Montesquieu revered the ancient Greeks and Romans with immoderate enthusiasm as masters of politics and culture to be emulated. Following a Western European tradition that extended back to the early Middle Ages, Montesquieu regarded the Empire at Constantinople as corrupt and decadent. Although he wrote a long history of the Empire at Constantinople, Montesquieu could not bring himself to refer to the Empire at Constantinople with the noble names of "Greek" or "Roman." From the obsolete name "Byzantium," Montesquieu used the word "Byzantine." The word "Byzantine" denoted the Empire and connoted its supposed characteristics: dishonesty, dissimulation and decadence. The English scholar Edward Gibbon in his Decline and Fall of the Roman Empire treated the Empire after the sixth century as an epic of unrelieved degradation and corruption. Yea but you also have to realize that while Constantinople knew themselves as Roman, there were not regarded as such. The western world knew them as the Greek Empire and their leader was not a Roman Emperor to them, but a Greek Emperor. So techically the whole idea of the ROman Empire , to the west, had ended long ago. It s even said on some occassion that Justinian was the last Roman Emperor. "Europe and Asia are finally mine. Woe to Chritendom. She has lost her sword and shield." Ottoman Sultan after hearing of the death of Skenderbeg. It is not important that western world knew them as Romans. The fact that they were the Romans of east Rome. Western world; Holy Roma-German Empire were claiming that they were representing the Rome. In fact in Germany there were never be a Roman rule. This was a power struggle. They were adressing them as Greek to show them "out of Christianity". Remember Orthodox - Catholic rivalery. The term Greek was a symbol of being pagan. In fact Mehmet the Conqeror saw him as the descendants of Trojans. He said that "by taking Constantinople we took the revenge of Troia". In those days even in Europe many people were thinking that Turks were the descendants of Trojans. It may be it is because Romans were claiming the same think and Rome had been established by Trojans. So that they may have some sort of emphaty with Mehmet the Conqueror. It would have helped Mehmet a little if he had taken Rome itself. Yes this is an other possibility. I would doubt it. The pope would call for a crusade to drive the Turks out, calling them invaders who illegally seized Rome, etc, etc. I thought that the Ottomans considered themselves as the Caliphate? Oh well different propaganda for different eras. The Ottomans considered themselves many things, one of which was Kayser-i Rum. Actually that's one of the reasons why the Ottomans conquered Constantinople: Being Caesar of Rome. I totally agree. Its not important that the west may have dubbed it the "greek empire". Whats important is that the Eastern Roman Empire, was truely the Roman Empire, weather it was ruled by Greek-speaking people or not. 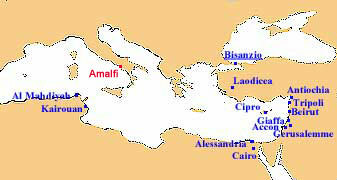 The Empire's name in Greek was Basileia tōn Rōmaiōn. The Turks at the time were seeking to imitate the glory of Rome and saw themselves its rightful heirs to the complete Roman Empire, after taking of the Eastern Roman Empire. The Turks were devastated on the shores of Southern Italy, they met fanatical and determined resistance. The Western Empire disolved after Romulus Augustulus, but the Pope remained the central figure with retaining still the mainly Romaized Germanic chieftains under his power by dangling the imperial Crown before their very eyes. Charlemagne and the Holy Roman Empire were frauds with papal support, the Ottomans were another group of frauds. But the process of naming themselves Caesar and seeing themselves as Romans, didnt end in the Middle Ages or such..continued on into modern times, under the titles of Kaiser and Czar ect.